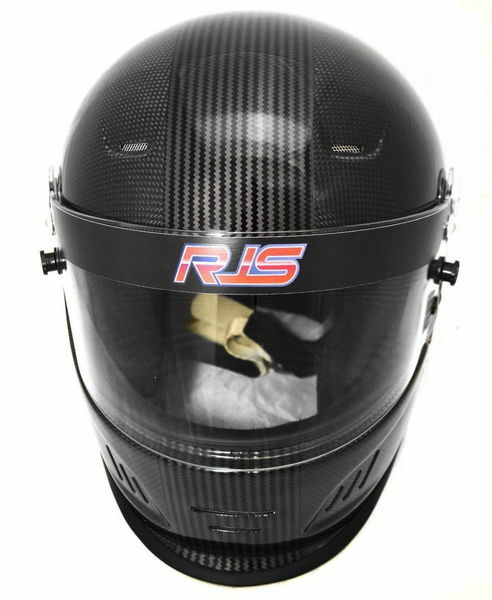 The RJS Elite Carbon Fiber Racing Helmet. This features, certifications and ratings of, SFI 24.1, Snell SA2015. 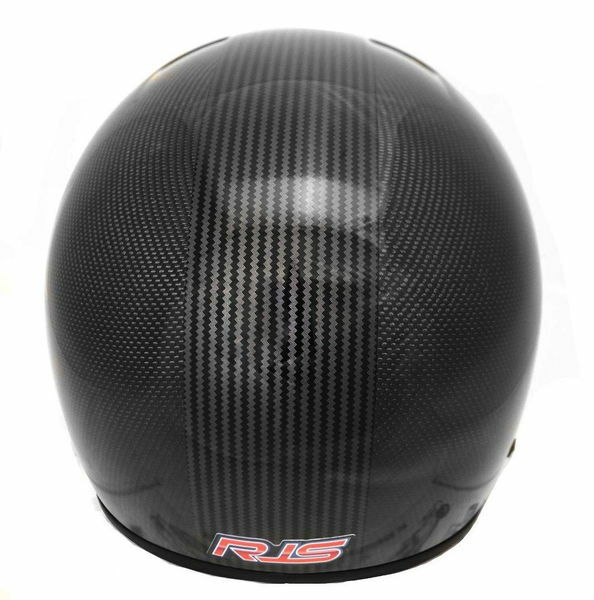 The Elite helmet is made of lightweight Carbon Fiber and has an offsetting Carbon Fiber Stripe across the front to the rear. This helmet was designed by a wide range of different drivers from different venues. 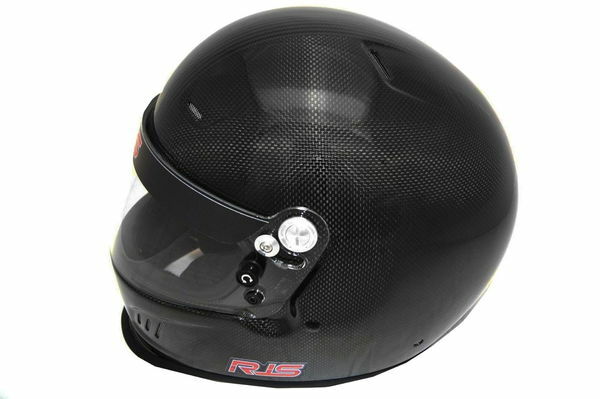 This lightweight and aerodynamic helmet with featured openings in the front and sides of the chin bar and scalp to allow air in and escape through the top exhaust ports for driver comfort and reducing fogging. The interior of the helmet features a plush fire retardant Nomex padding and a removable washable liner as well as a padded chin strap designed for racer comfort and proper fit. The distortion free face shield is constructed with a high grade, low fog polycarbonate with an excellent extend peripheral field of vision. In addition the shield is fitted with tear-off post and aluminum pivots with an adjustable friction lock. This helmet also supports head and neck restraint systems through its M6 ported inserts that are already blended into the helmet. 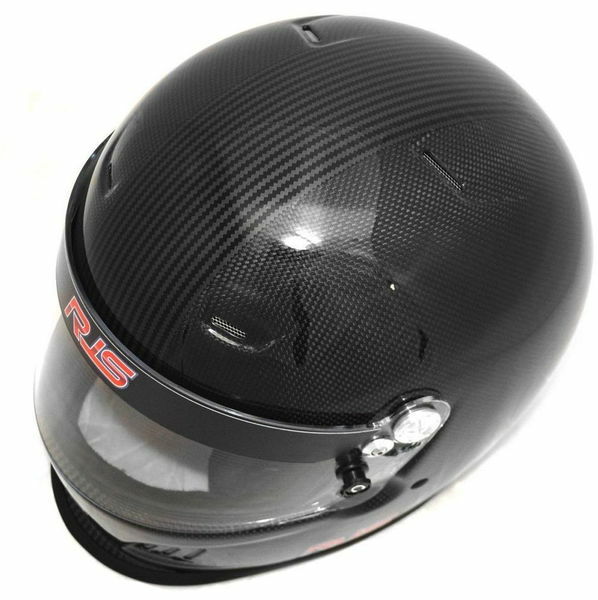 Manufactured in the same facility as Bell Racing, this helmet has superior construction and affordability all woven into one safe and good looking helmet. 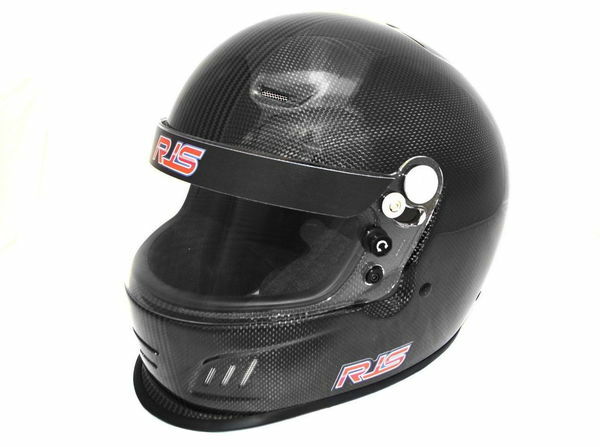 This helmet is offered by RJS Racing Equipment out of The Motor City since 1959. One of the last American companies still offering American made products to the world.